The concept of authenticity, particularly in brand management, has been around for several years now. It has come to the forefront because our lives are more virtual than ever before, and consumers are crying out for something more genuine. We all want to feel that we’re being valued as an individual as opposed to just an insignificant player in a ‘target market’. It would be a mistake to underestimate your audience; they are far more aware, curious, connected and socially empowered than ever before. They are well within their rights to call out – publicly and without reservation – anything they find wrong with your work. It no longer matters how flashy, how integrated or how ‘engaging’ your brand is, if your consumers detect the merest hint of insincerity, your carefully thought out marketing plan will fall on deaf ears. 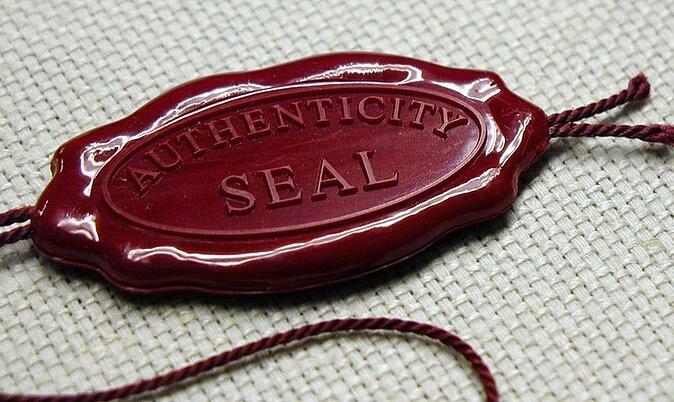 What does brand authenticity mean? So what exactly is brand authenticity, and how can you be sure your brand is genuinely authentic? It’s a difficult one, because by its very nature, marketing isn’t authentic. The concept has always been to show your product, your service, in the very best possible light. And authenticity itself is in danger of becoming so ubiquitous it becomes the opposite; we’re all trying so hard to fabricate a modicum of authenticity for our brands, we stray too far from the brand’s original values and make it less authentic than it was to begin with. So how do you keep your brand authentic? ...Without sounding too much like a self-help book, just be yourself. The key is staying true to your values; not the values you think will appeal the most to your consumers, but what you truly believe in. Be proud of where you’ve come from and the journey you’ve taken. Admit your mistakes – more importantly, show how you’ve improved. Let us know how human you are. Honour your philosophy, show us what you really care about, your social responsibility, and what motivates you. 91% of respondents said 'Honesty over goods and services' was the most effective marker of authenticity, compared with product utility (61%), and brand appeal (60%). 63% of respondents buy from authentic brands over those who hide their true selves, and 23% would financially back such a brand. Those in fast-growing countries are twice as likely to invest in authentic brands as respondents in slower growing countries. Your brand is about both your people and your customers. An authentic company, therefore, owns up to their mistakes, is transparent, and doesn't sugar-coat anything or sweep issues under the rug. Does it matter? Psychologically, yes! We all want to feel that sense of personalisation, validation, of real connection with the brands we’re engaged with, and that we’ve been heard. An authentic brand reflects our own ideology and backs up the person we want to be in the world.